Double Action Brass Pump with threaded fitting to fit all Mercruiser, OMC & Volvo Penta GM based petrol engines with threaded dipstick tube. Replaces Mercruiser part number 802889Q1. High quality brass pump, designed for removing engine oil. 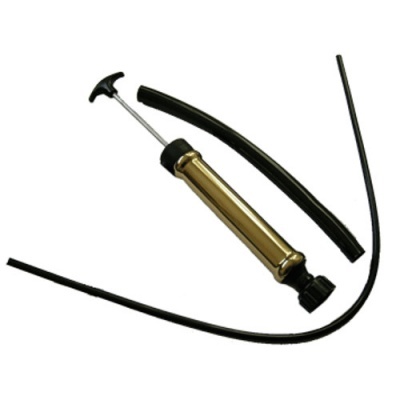 By using this pump, oil can be conveniently pulled through the dipstick tube, without going into the bilge. Also includes additional tube which can be used with all engines.